One of the small pleasures of living in Japan is the chance of coming across strange bits of both English and other languages I speak, and have a bit of a laugh. My Japanese is certainly not perfect, and I still make mistakes daily, occasionally getting my sharemates very confused, so this is not done out of a desire to be mean, but all in good fun.Knowing various languages, I can usually tell what they wanted to convey, and why word for word translation is always a bad life choice. 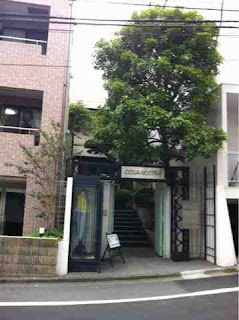 Our first contestant is an oddly named building near Daikanyama station. 'Cosa Nostra' for those who are unfamiliar with the term, is one of the branches of the mafia in Italy. I assume the owner wanted to convey the meaning of 'our place', but kiiinda missed. 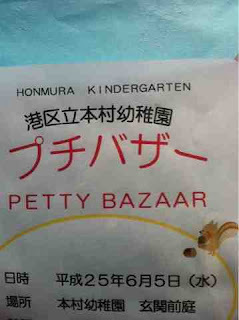 Contestant number two is a wonderful misspelling of the beloved romanization 'puchi' (small), from the French 'petit'. I must admit, the mental image of a petty bazaar is pretty hilarious. This little bag was being sold in Shibuya station. I don't think it qualifies as Engrish, but I am sure there are a few people walking around Tokyo with this bag, with no clue about what is written on it. Fortune cookies are, sadly, very rare at Chinese restaurants in Japan. 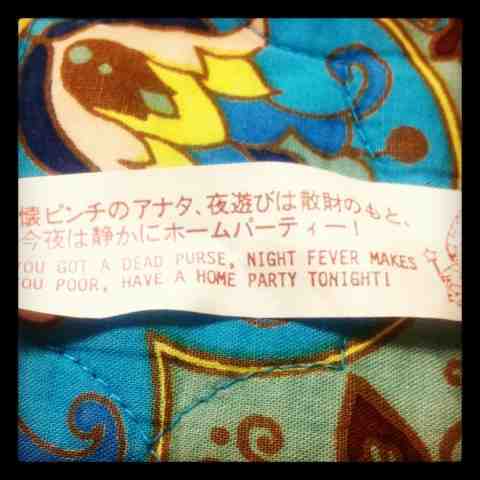 I for one am disappointed, as I had lots of fun during college attaching 'in bed' to the end of fortunes. On the bright side, the one fortune cookie I have gotten was hilarious. Oh if only I could get a fortune cookie like that! I wish I could remember where I got it... mind like a sieve, sometimes.